After you have found a Monterey and San Benito County moving company in Monterey and San Benito County that you can trust, you will have peace of mind as you begin the process of relocating. Knowing that this moving company will take care of your move will allow you to focus your efforts on the other issues that need to be dealt with in the process of moving. Meet with the mover. Use the notes that you have taken so you can accurately describe any concerns that you have. Be as detailed as possible and don’t be in a hurry. It is as important for you to hear their suggestions and observations as it is for them to hear you. If you don’t understand something, ask for an explanation. You need to completely comprehend the moving plan and any problems. When you feel satisfied with the information you have received from your Monterey and San Benito County moving company and feel like all of your questions have been answered, sign the contract. Be sure that they have a phone number where you can be reached at all times. 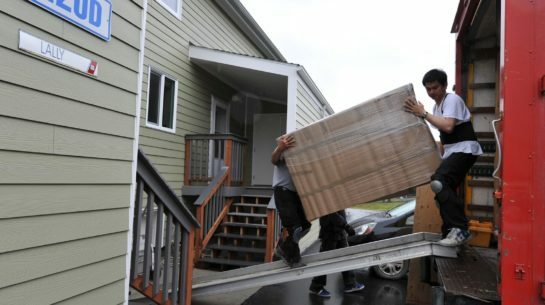 Expect the movers to stay within the estimate, although there are tariffs and other charges that may change at the time of the move. However, if the actual moving costs exceed the original amount of the estimate, they will let you know. 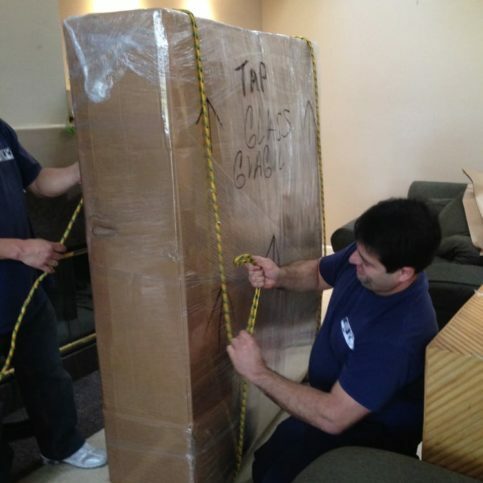 Professional movers are able to handle the very small to very large aspects of their work. However, there are some things that you can do to prepare for them and to make their progress with your move go more smoothly and more quickly. Doing these things may even cut down on their labor costs. Get rid of household items you don’t want. Sort through your closets, rooms and garages for anything you might want to give or throw away. Don’t pack up every item that you own. Everyone collects some junk and now is the time to get rid of it. You might even consider holding a garage sale to help get rid of some of the items you don’t want to move. Moving costs are figured by weight and there’s no point in wasting money shipping things that you don’t want. Begin planning and organizing your move as soon as you know you will be moving. Get a notebook and put all important phone numbers in it. Also, you will need to keep track of important documents such as maps or brochures of services, etc. Having everything in one place will help reduce the stress already associated with moving. Keep children and pets clear of the area on packing and moving day. Your movers shouldn’t have to watch out for children and pets while they’re moving your belongings. So while they’re on the premises, keep children and animals away from the work area. You may want to arrange for child care or pet care to keep everyone safe and stress-free. Why Trust Diamond Certified Movers Rated Highest in Quality? Fabricio Lunardi is owner of Lunardi Moving Services, a Diamond Certified company. He can be reached at (408) 620-4970 or by email. A: I’m a fan of professional soccer, so my favorite team is FC Barcelona. A: It’s a tie between Christmas and Thanksgiving—both are very important to me and my family. 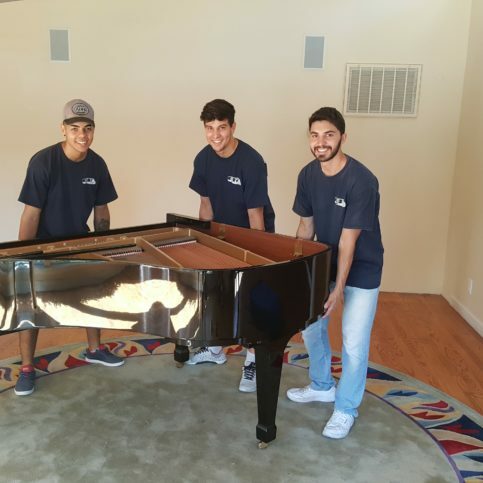 Three Lunardi Moving Services technicians move a customer’s piano. The following are associations and licencing agencies for moving companies and relocation services. After you have done initial research, talk with some of the local moving companies. Compile a list of questions and use that list when talking to the moving companies. Write down each moving company’s answers. You’ll want to get estimates from only those moving companies that meet or exceed your expectations. 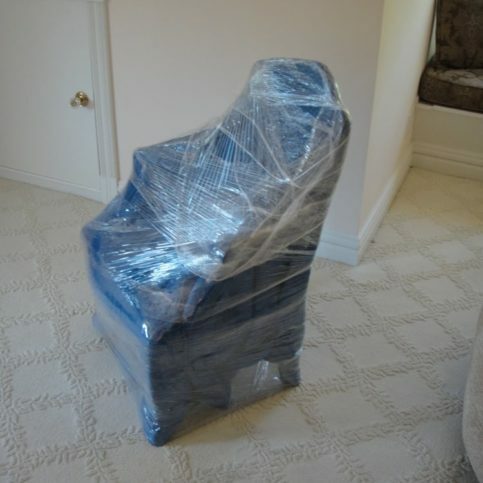 If the movers don’t give satisfactory answers to your questions, move on to the next moving service. You will want to know what you need and expect from your moving company before you interview any companies. Start by knowing your timeline, budget and other requirements. Then include some questions to determine the customer serivce and personal attention you can deserve from the San Benito and Monterey County moving companies. Do I want a Diamond Certified household moving company that is rated best in quality and backed by the Diamond Certified Guarantee? Do the residential movers I’m considering charge for estimates? If so, what does the estimate include? What is my timeline for moving services? What personal and professional characteristics would I like my Monterey and San Benito County moving companyto have such as good communication skills, timeliness, honesty, integrity, and reliability? Do I want the moving company to pack and move my belongings or just move my belongings? Do they offer shipment tracking? What is my budget for this move? Once you have narrowed the field to a few of the best movers in Monterey and San Benito counties, ask a few to visit your home in person. This will give them a chance to see your current home to assess any extra moving costs, and will enable them to give you a more accurate estimate on moving costs. You’ll also be able to meet their representative and ask them questions in person. Have a list of questions and write down each moving company’s answers. How long will it take for you to load, move and unload? What kind of a guarantee do you have? What if some of my household items are damaged during the move? How long will it take you to pack and move my belongings? Will the movers assemble any of the furniture that has been taken apart for the move? It’s best to choose a Diamond Certified moving company because all certified companies have passed an in-depth ratings process that most other companies can’t pass. If you want quality from a moving company in Monterey and San Benito County, you can have confidence choosing a Diamond Certified company. If you can’t find a Diamond Certified moving company within reach, you’ll have to do some research on your own. If you do, it’s wise to call some references provided by your moving company. Keep in mind, though, that references provided to you by the moving company are not equal in value to the large random sample of customers surveyed during the Diamond Certified ratings process. 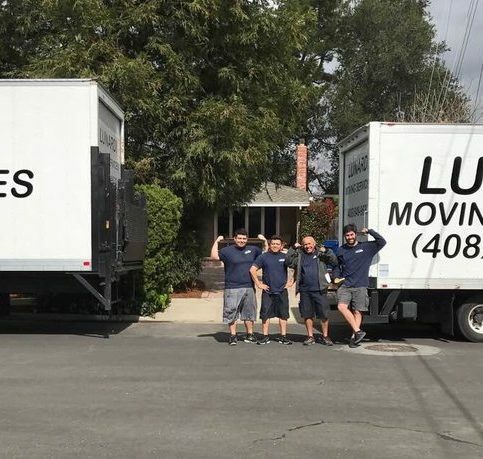 Would you recommend this moving company to your friends and family? Did they show up at your home at the designated time? Did they clean up after they completed the move? Did they keep communication with you up to date on the status of your move? If you live in a smaller town such as Camphora, Cannery Row, Carmel Highlands and Carmel Valley Village, did you have to pay extra for their travel expenses to your home? Were you satisfied with the service from this moving company? Did they complete your move on time? Is the company knowledgeable about moving techniques and the specific needs of my job? Does the moving company offer storage if I am not able to relocate immediately? Can the moving company in Monterey and San Benito County meet your needs when it comes to scheduling, customer service and experience? Does the moving company offer a written warranty to back up their work? It’s the mover’s responsibility to move you using the best possible techniques. But you play a big part in the success of your move, too. Here are a few simple steps you can take to be a good customer when hiring a Monterey and San Benito County mover. Be clear and upfront with the moving company. Let them know what you want from your move, the long-term outcome you’re expecting and specific ways they can satisfy your expectations. Pay for the move promptly. 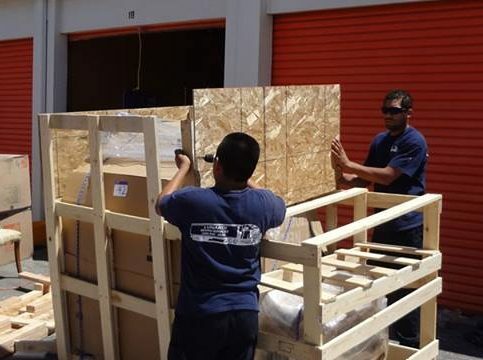 Before you hire a moving company in Monterey and San Benito County, restate your expectations and goals, and reiterate to the moving company’s representative your understanding of the agreement. Most problems with local movers occur because of a breakdown in communication. By being clear about your expectations and theirs, you can avoid most conflicts. Ask your mover if you should call to check on the progress or if he will call you with updates. Be sure your service representative has a phone number where they can reach you at all times while they’re moving. The work will move along more smoothly if your moving company can reach you for any necessary updates, questions or work authorizations. When your contractor contacts you, return calls promptly to keep the moving company on schedule. Why would you want to be a good customer? 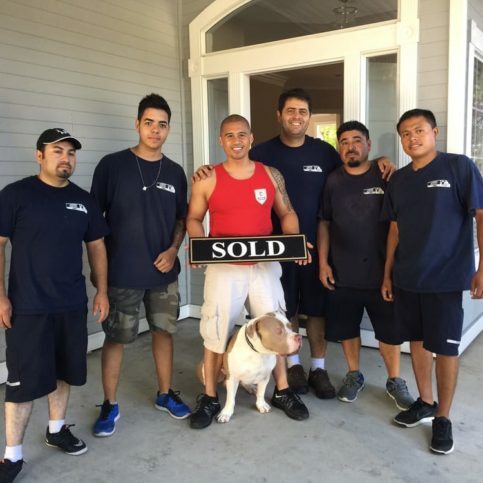 Moving companies in Monterey and San Benito County appreciate customers who are straightforward, honest and easy to work with. Your good customer behavior sets the tone from your end and creates an environment conducive to a good relationship. Things may very well go smoother and any problems may be more easily resolved. The local mover’s name, physical address and license number. The total cost for the move including supplies and the amount due for labor. Any applicable warrantees or guarantees provided by the moving company. Most good moving companies will offer some time of warranty on the move. All details of the warranty should be provided to you in writing. The moving company’s name and physical address. Your responsibility if you need to file a claim for damages incurred during household relocation. The moving services listed below are some of the most commonly requested in Monterey and San Benito counties. Unpacking services are provided by the moving company. The packed items are unpacked by a professional crew. Full valuation protection is a comprehensive protection plan for you belongings. It is the most comprehensive coverage. A dishpack is a box that is specifically designed for packing dishes. It helps prevent breakage. Full-service packing is offered by movers. Full-service packing provides all of the supplies for packing your belongings. This includes boxes, tape and wrap. All of the packing is done by the moving company. Shuttle service is the use of a smaller vehicle when the residence cannot be reached with the normal moving equipment. Accessorial services are addition moving services that are done by your moving company. These services can include packing, unpacking, and crating. These services cost extra. Appliance Service is a service for special packing for electrical appliances. 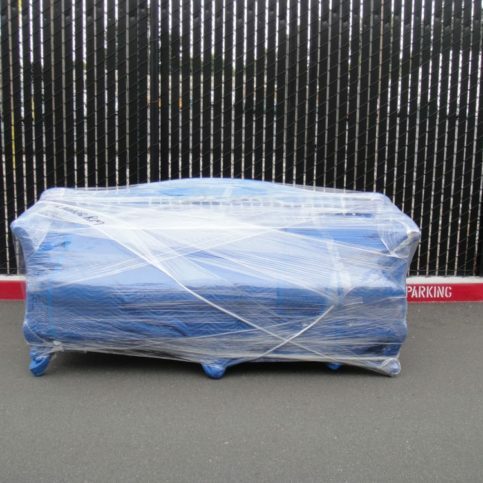 This packing keeps the appliances safe during the move or for shipping. Storage-in-transit allows your belongings to be temporarily stored until the scheduled delivery. This is an additional charge. Storage is a place where you household items are kept until they need to be moved. 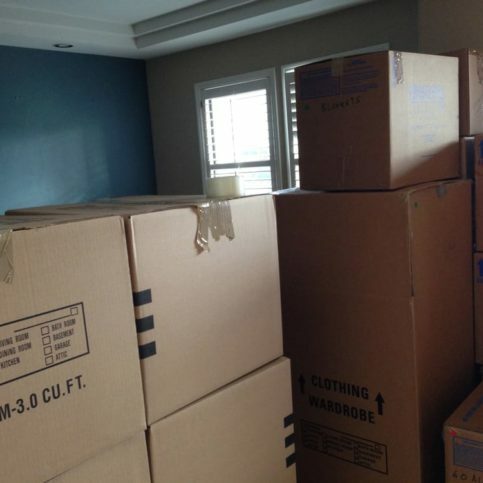 Packing service is a service provided by the moving company to prepare and pack your household items for the move. This is done by a professional crew. Additional moving services are added services that you need to have done such as packing or unpacking. There may be additional charges for additional services. Advanced charges are related to moving services that are not performed by the moving company but by a third party. These charges are usually added to your moving company’s charges. Agents represent moving companies and act on behalf of them. Appliance service is the work done for electrical appliances to keep them safe during shipping. Bill of lading is the contract and the receipt for your moved items. Don’t sign the bill of lading if there is anything you disagree with. Bulky items are items that have a low weight compared to its size such as a camper or golf cart. These items cost extra. The carrier is the mover that will be transporting your household items. A claim is a statement of loss or damage that has occurred to your household items while they were in your mover’s care. C.O.D. is when payment is required at the time of delivery. This is usually when a private shipper delivers to a destination and then payment is required at the delivery. Declared valuation is the amount of value of your household items that are being shipped. A dishpack is a box that is specifically used for packing dishes. Driver is the driver or operator of your moving truck and also may be the supervisor of the move including the loading and unloading, etc. Expedited service is an arrangement with the moving company to do the move by a set date. Full service moving companies are those that provide all services required for a successful move, including packing, loading, moving, unpacking/belonging delivery. Full-service packing will provide the packing and includes all of the supplies such as boxes needed for the packing. Gross weight is the weight of the moving truck after your household goods have been loaded. Guaranteed pickup and delivery service is a guaranteed date of service and if the mover does not meet the guaranteed date they will provide some type of reimbursement. High value articles are items that are being moved which are valued at more than $100 per pound. Inventory is a list of your household items. This list will give a description and also note the condition of each item. Long distance moving companies are those that move households and businesses over long distances. Some long distance carriers are affiliated with national van lines or international shipping companies, which allow them to provide service across state lines and internationally. A moving company is the company that arranges and conducts the transport of your household items to a new location. Moving company prices are the prices charged by the moving company and may be specific to that company. Moving process is the process or course of moving including plans, packing, loading, unloading, etc. Order for service authorizes the moving company to transport your household items. Packed by owner simply means that you will be doing all of the packing for your move. A driver does have the right to inspect boxes that he/she does not feel are packed safely. Peak season rates are the charges that may be charged during the summer months when the line haul charges are higher. Pickup and delivery charges are charges that are for taking your shipment between the storage in transit and your home. Valuation is how much your shipment is worth. This is an important figure because it will help determine what restitution is paid if there is any damage or loss of items during the move. Q: Why choose a Diamond Certified moving company? A:Diamond Certified helps you choose a moving company with confidence by offering a list of top-rated local companies who have passed the country’s most in-depth rating process. Only moving companies rated Highest in Quality earn the prestigious Diamond Certified award. Most companies can’t pass the ratings. American Ratings Corporation also monitors every Diamond Certified company with ongoing research and ratings. And your purchase is backed by the Diamond Certified Performance Guarantee . So you’ll feel confident choosing a Diamond Certified moving company. Q: When should I call and arrange for a moving company? A: As soon as you know you are going to move is the best time to call. The more lead time you give the company, the more probability they will be able to move you at your requested time. Most companies want to comply with your dates. If your moving time is critical because of other factors such as an expiration of a lease, you may need to choose an extra-cost service. Q: How does a binding estimate work? A: A binding estimate is the cost of service given in advance of the move. This estimate is only valid for the specified time. If you add additional services, there will be an additional charge. Q: Is there a good time of year to move? A: Most movers would tell you the best time to choose is any other time than summer, the holidays, or the end of the month. During these times moving equipment is in high demand. However, the choice is really up to you and you need to factor in other issues for your family such as school periods and if the family will need to be separated. Q: Should I get an in-person estimate from local movers? 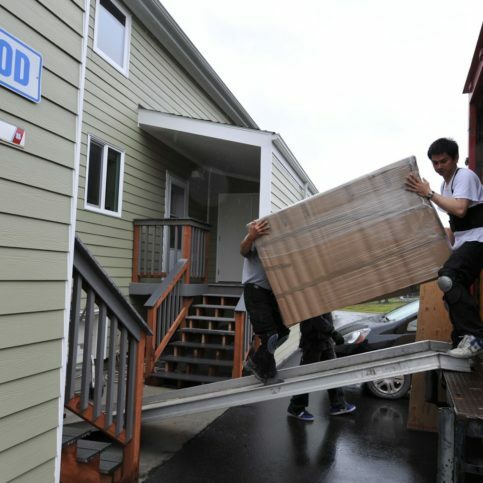 A: Most movers can give you an approximate cost by knowing the size of your house. However, to get a really accurate estimate, the moving company will need to actually survey your household items that need to be moved. These estimates are only estimates and there may be additional charges such as charges for distance and weight of shipment. Q: Are my household items protected against damage while they are being transported? A: Yes, but there are different protections to choose from. Depending upon the program you choose, you can have full value coverage to a released rate. Q: What if items are damaged by the moving company in-transit or during packing or unpacking? A: If the damage is visible at the time of unloading, let the driver know immediately. Also, contact the moving company and make them aware of the damage. The moving company will tell you how to file a claim. Do not throw away any damaged item until your claim has been finalized. Q: When will the inventory of my household goods happen? A: The inventory should take place right before the loading. Notes will be made of all of your furniture and household items that may have damage already or show wear. You will also have the opportunity to add anything to the notes that you feel is applicable. When the inventory is complete, the paperwork will be signed by the mover and by you. Be sure that the notes are correct. Your copy and the bill of lading will be given to you. You will need these when you receive your household goods. When your shipment arrives, you will ned to check the inventory with the items being delivered. Keep track of damages and notify the driver. After the unloading, you will need to sign the inventory. Do not sign if you are not sure of any of the items. Q: Is it necessary for me to be present for the whole move? A: It is important for you to be there or that you designate someone to be there. You need to have a responsible party there who can sign the paperwork and do a walk through of the house when everything is loaded. It is important that nothing gets left behind. Q: How many estimates should I get? A: An estimate is not an exact number but an educated guess of how much the moving company expects your move to cost. This is based on the items you need to have moved and the fees they movers have to pay and the distance. It is recommended that you have three different companies give you an estimate so you can compare movers, their services their rates.